Brendon McCullum is confident that time will heal all the issues surrounding New Zealand cricket despite the uproar over how he became Kiwi cricket captain. McCullum is preparing to lead the Black Caps on the tough assignment of touring South Africa. Absent from the squad is the man he succeeded as captain, Ross Taylor, who is taking a break from international cricket after losing the job, and McCullum believes it's a case of when, not if, Taylor returns to the Black Caps. "What's unfolding at the moment is very disappointing. But I'm sure that will all heal in due course," the Sydney Morning Herald quoted McCullum, as saying. There have been conflicting accounts over what was meant when coach Mike Hesson told Taylor during the tour of Sri Lanka in November that he would recommend a change of skipper and whether that referred to just the short forms of the game. Taylor maintains he was left in no doubt that the proposed change included the Test position. McCullum said he was focused on the team and not dealing too much with the other stuff, but he had spoken to Taylor, describing the conversation as private. "He needs a bit of space at the moment. 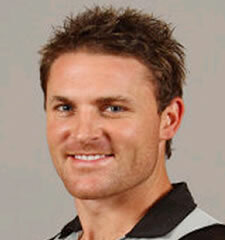 He's going through a very tough time and my thoughts and the team's thoughts are with him," McCullum said. "When he's good and ready to come back, it will be great to have him back in the team because he's obviously a world-class player and by far and away our best batsman as well," he added.